This was my very first food project that was produced. What I learned is that selling food is weird. In this campaign my partner and I were launching a brand new organic almondmilk. And you should buy it is because it tastes delicious, it's organic, and they have fewer ingredients then the Almondbreezes of the world. Did that work? If not, then watch these videos and stare at the print until it does. In collaboration with Amanda Burger for Duncan Channon. 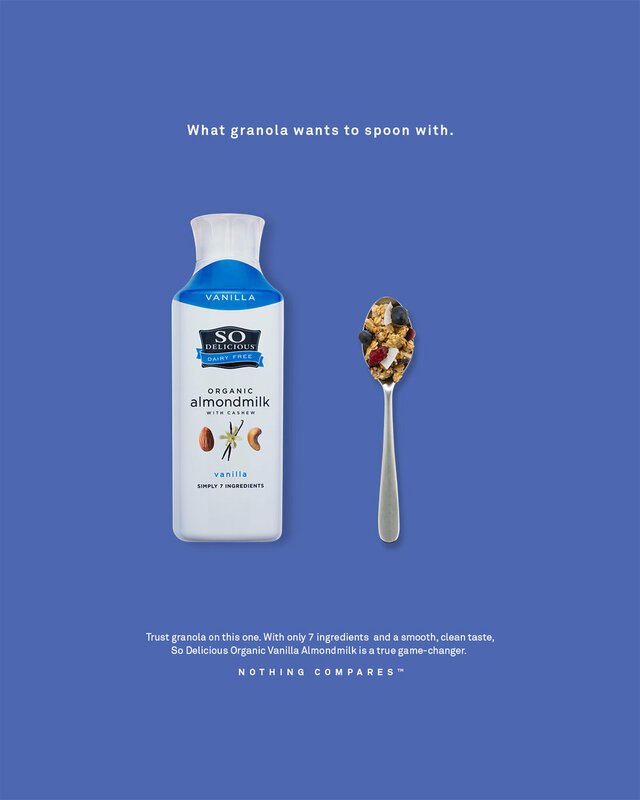 This print campaign plays with the simplicity and minimal ingredients found in each almondmilk.